Can Arsenal get a result at home to Manchester United? "With United on a high after the Miracle of Paris, and Arsenal hitting top gear at home, this could be one of the games of the season. Arsenal 2-2 Manchester United." Dan Fitch says: "Brighton have not won a Premier League match away from home in 2019 and that record looks set to be extended against their rivals Crystal Palace. The Eagles are in good form and with Wilfried Zaha back to his best, they are scoring plenty of goals at the moment. Crystal Palace 3-0 Brighton." Steve Rawlings says: "West Ham travel to Cardiff in search of an eighth straight win against the Bluebirds. The Hammers beat them 3-1 at the London Stadium back in January and they won both their only other Premier League encounters 2-0 when they met in the top-flight five seasons ago. The hosts are plummeting fast now, having lost their last three games by an aggregate of 10-1, and I can see the visitors keeping a clean-sheet and matching their feats of five years ago. Cardiff 0-2 West Ham." Dave Tindall says: "New Terriers boss Jan Siewert hasn't been able to solve Huddersfield's chronic lack of goals and Bournemouth may just be able to end their away-day blues by nicking this by the minimum margin. Huddersfield 0-1 Bournemouth"
Andrew Atherley says: "Both teams have holes in their form, hence their recent managerial changes, but Leicester have the potential to take a big step forward at home with Brendan Rodgers' more attacking system and it's possible they could click against the Premier League's worst away side. Leicester 3-0 Fulham." Simon Mail says: "Rafa Benitez's side have won their last four home league games including a victory over champions Man City. The Magpies have kept three clean sheets during this run and will be confident of shutting out an inconsistent Everton side which have failed to score in three of their last four games. strong>Newcastle 1-0 Everton." Andy Schooler says: "Southampton caused Manchester United plenty of problems last weekend and can be expected to test Spurs on home soil. The visitors gave themselves a much-needed confidence boost with victory in Dortmund in midweek and given they've won every game bar one against the teams currently in the bottom half of the table, they should be expected to come through that examination in positive fashion. Southampton 1-2 Tottenham." Jamie Pacheco says: "City have an outstanding record against Watford, making anything but a home win unthinkable. Their recent scorelines however make this a near-on impossible task to try and predict what might happen next but at a big price, it's worth chancing that they find their shooting boots again as Watford find a consolation goal. Manchester City - Watford." Mark O'Haire says: "Liverpool can bounce back to winning ways and reignite their title challenge with a cushy home success over Burnley on Sunday. The Reds have W18-D3-L0 against sides outside the top-six and W20-D4-L0 when welcoming non-Big Six clubs to Anfield since the start of last season, two outstanding records that can be enhanced this weekend. Liverpool 3-0 Burnley." Jack Lang says: "The Blues have found some momentum at last, but Wolves have proved that games against the top six hold no fear, and will be hopeful of contributing to an exciting game at Stamford Bridge. Chelsea 2-2 Wolves." 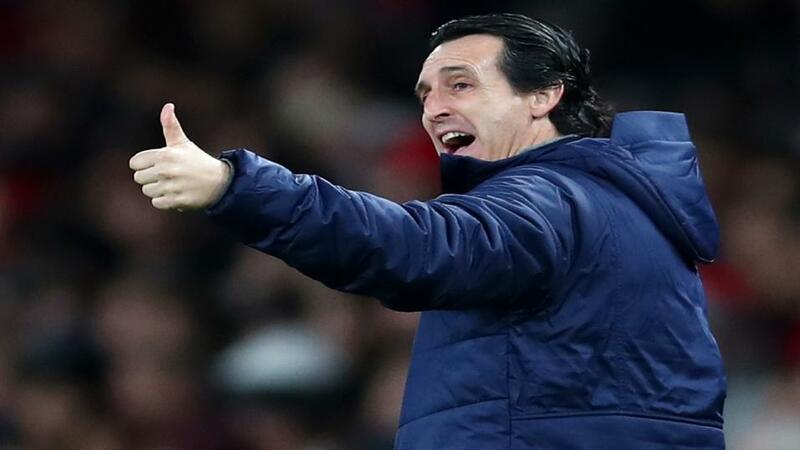 Kevin Hatchard says: "With United on a high after the Miracle of Paris, and Arsenal hitting top gear at home, this could be one of the games of the season. Arsenal 2-2 Manchester United."